A federal court in Montana ruled Wednesday in favor of Alliance for the Wild Rockies and allies in their challenge to the federal government’s lack of protection in failing to designate critical habitat necessary for the survival and recovery of the rare and imperiled Canada lynx, a species listed under the Endangered Species Act in 2000. The Court held that the government had unlawfully ignored a prior Court Order to analyze whether areas in several National Forests in Montana and Idaho qualify as lynx “critical habitat” and therefore merit additional federal protection from habitat destruction under the Endangered Species Act. Although the U.S. Fish and Wildlife Service designated the Canada lynx as ‘threatened’ under the Endangered Species Act 16 years ago, the agency has consistently failed to protect the full range of habitat needed for lynx recovery. Instead of acting to protect and recover lynx, the Fish and Wildlife Service designated critical habitat areas based on pre-determined outcomes, which ignored habitat studies and current lynx populations and habits. This ruling represents the second time the Alliance for the Wild Rockies has prevailed in its ongoing struggle to protect critical habitat for imperiled Canada lynx. Although there is little available data on how many lynx remain in the Northern Rockies, government researchers have documented that populations are likely declining in the areas that they have studied in Montana, namely the Seeley-Swan Valley and the Gallatin and Garnet Ranges. In light of the declining or unknown population status of this imperiled species, the Alliance’s win today is one necessary step forward in ensuring this species receives the protections it needs to survive and recover. A coalition of conservation groups filed suit in federal court in November 2014 challenging the U.S. Fish and Wildlife Service for its failure to designate adequate critical habitat for recovery of the Canada Lynx. This action, brought by the Alliance for the Wild Rockies, the Sierra Club, and Rocky Mountain Wild, noted numerous large areas of prime lynx habitat, corridors and occupied areas throughout five national forests in Montana and Idaho, as well as millions of acres in the Southern Rockies that deserve to be included in the critical habitat designation, but which the U.S. Fish and Wildlife Service left out of these protections. This lawsuit follows up our lawsuit from 2010 when the federal court ruled the U.S. Fish and Wildlife Service had unlawfully omitted these areas from the designation. The Court ordered the agency to reconsider its findings, only to have the Service come back with new rationales for excluding these areas once again. Instead of analyzing the habitat as required, the agency unlawfully decided that because it did not have verified reports of lynx in those particular National Forests, it would not designate the areas as critical habitat regardless of the quality of the habitat. Lynx need secure habitat before the population can be recovered and the current critical habitat designation fell far short. Important lynx habitat in Montana and Idaho helps connect the Glacier and Yellowstone National Park lynx populations. 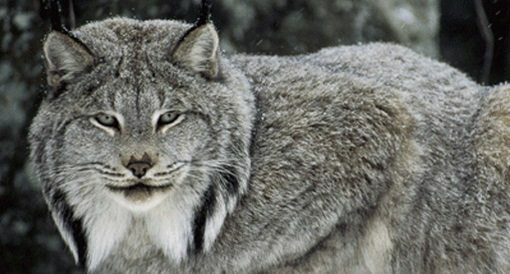 By failing to protect these areas and refusing to designate any critical habitat in the Southern Rockies, the very agency charged with recovery of threatened and endangered species is leaving lynx populations isolated, essentially issuing their death sentence since isolated populations inevitably lead to inbreeding and then extinction. Lynx Photo: US Fish and Wildlife Service.